Botswana is located in Southern Africa and surrounded by the following countries: South Africa, Zimbabwe, Zambia, and Namibia. Although the Kalahari desert mostly covers Botswana’s territory, it encloses 2 of the most popular destinations: the Chobe National Park and of course, the Okavango Delta. Botswana offers the ultimate safari experience! Your safari adventure spans over ten days and includes a houseboat excursion on the Okavango Delta and of course, game drives in the Chobe National Park and the Moremi Game Reserve. The Botswana Safari experience is for everyone since it involves only a bit of walking and hiking, ergo, you do not need to be an athlete to go on this safari adventure! One of the remarkable things about G Adventures is that if you are traveling alone on this Botswana safari, you will not pay a single supplement fee! Because, G Adventures will pair you up with someone of the same gender, allowing you to share accommodations, hence, no single supplement! The group size is relatively small with a maximum of 9 persons. You begin your safari adventure by spending two nights on a houseboat on the Okavango Delta. The Okavango Delta is one of the seven natural wonders of Africa and the world’s largest inland delta. Explore the remote region of the Delta through small channels. Enjoy bird watching from the houseboat, as the Okavango Delta harbors more than 550 species of birds! Next stop on your journey is the town of Maun, where an unforgettable cultural encounter offered as part of the National Geographic Journeys await you. Meet the famous author Bonty Botumile and the Thari-E-Ntsho storytellers and learn more about the rich cultural history of the Okavango Delta region. The Moremi Game Reserve is the next destination on your itinerary with more game viewing drives through the open savannahs. On the last stretch of your adventure, visit the Chobe National Park, where the game drives take place in an open vehicle (morning and afternoon). You will travel far into the Chobe National Park and visit the Ghoha Hills, with its breathtaking views of the bush! 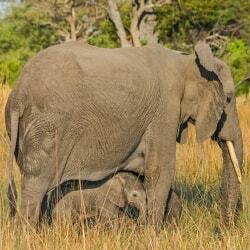 The Chobe National Park harbors the largest concentration of elephants in the world with 50,000. Besides the elephants, a wide range of wildlife is present in the park and includes the giraffes, the buffalos, the lions, and the hippos, only to name a few! Finally, end your safari experience by spending your last evening in Victoria Falls. 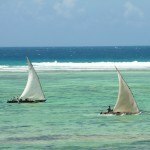 What Is the National Geographic Journeys Package? The National Geographic Journeys is the newest travel style offered by G Adventures. By choosing the National Geographic Journeys package, you will have more free time to explore. Furthermore, before your departure, you will receive some valuable tips as well as articles from the National Geographic to help you better plan your trip. The National Geographic Journeys package also includes an enhanced cultural experience along with access to local experts. Transfer from the airport to the G Adventures headquarter. From the National Geographic: articles and photography advice. All game drives (Moremi Game Reserve, Savuti, Chobe National Park). Meals (9 breakfasts, 6 lunches, and 6 dinners). As you might have noticed, all the meals are not included with this safari. Therefore, you’ll need to set aside extra money for these meals, and a few hundred USD should suffice to cover the cost of the meals. The Botswana Safari Experience offers some optional activities, and if you decide to include any of these activities to your journey, they must be booked before departure, because you will not be able to add them once you are on the safari. Photography River Cruise on the Chobe River. Take breathtaking shots of the wildlife along the Chobe River banks as well as stunning photos of the African sunset! Chobe Photo Game Drive. Capture magnificent pictures of the wildlife in the Chobe National Park. Both the river cruise and also the photo game drive in the Chobe National Park is for everyone (beginners as well as experienced photographers). G Adventures provides all the necessary equipment and as a bonus, the advice from an expert photographer from the National Geographic! Okavango Delta Flight. Upon your arrival to the Okavango Delta, enjoy a 45-minute flight above the Okavango Delta and get a bird’s eye perspective of this natural wonder of Africa, a once in a lifetime experience! Tsodilo Hills Excursion. While you are cruising in the Okavango Delta, go ashore for a few hours, and take a stroll to the Tsodilo Hills for a cultural excursion and discover the highest concentration of San Rock paintings in the world, a significant incursion into the African culture. However, ten days is not enough to see everything that Botswana and Zimbabwe have to offer to its visitors! If you wish, after your Botswana safari of 10 days you can extend your vacation! G Adventures offer great flexibility and allow you to customize your trip by adding extra activities. However, these additional activities have to be booked before your departure for your Botswana safari. White River Rafting on the Zambezi River. Note that this activity is not available during the month of March and April. Canoeing on the Zambezi River (upper section). Bungee jumping at Victoria Falls. 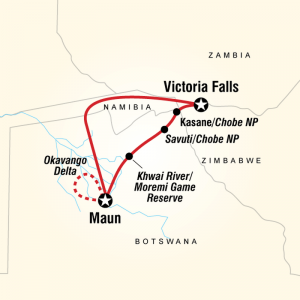 Helicopter Flights and Microlight Flights over the Victoria Falls. If you dare, why not take a swim in the Devil’s pools at the edge of the Falls or Angel’s Armchair! Avid Travelers, the Botswana Safari Experience Awaits You! The Botswana safari offers an excellent opportunity for wildlife sightings through the game drives within the Chobe National Park and the Moremi Game Reserve. 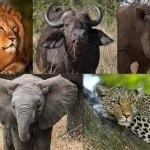 Unfortunately, you will not see all the animals of the Big Five. However, Botswana is well renowned for offering one of the best safari experience on the African continent and is the ideal destination for bird lovers and wildlife photographers alike. 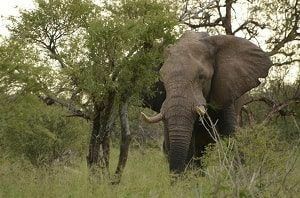 I highly recommend the Botswana Safari from G Adventures. This Botswana safari offers a unique opportunity to see two of the seven natural wonders of Africa, namely the Okavango Delta and Victoria Falls, both listed on the UNESCO World Heritage List. 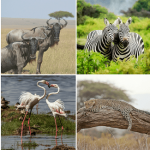 Furthermore, G Adventures offer you the possibility to customize your vacation, enabling you to get the safari holiday that better suits your style. 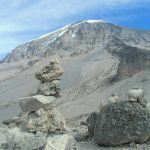 There are optional activities scheduled within your 10-day safari package. Also, additional activities are available if you want to extend your safari adventure. Click here to visit G adventures and book your Botswana Safari Experience, the ultimate safari adventure of a lifetime! I hope you enjoyed this review, and if you have any questions about the Botswana safari experience, please leave me a comment below. I would love to hear from you. Wow! This sounds like it would be a really cool adventure for my next holiday. I’ve always wanted to see parts of Africa and the amazing wildlife. I’m a bit of a keen nature photographer, and something like this Botswana safari would be awesome. Maybe the Photography River Cruise might be right up my alley. Don’t know about swimming right near the edge of that waterfall, though. 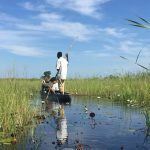 Since you are an avid photographer, may I suggest that you book as part of your next adventure to Botswana, the Okavango Delta flight excursion? 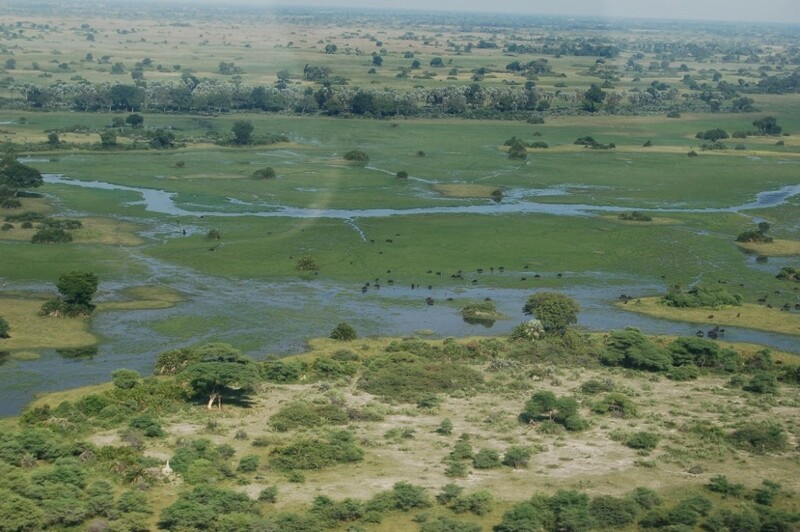 During this 45 minutes flight over the Okavango Delta, you will be able to capture breathtaking pictures of one of the seven natural wonders of Africa from a bird’s eye view! Quite an unforgettable experience! Botswana is such a lovely country with plenty of sunshine. I’ve been to that part of the world, in Southern Africa. I am also impressed by the way G Adventures works. The fact that G Adventures pairs you up with someone of the same gender if you are traveling alone on Botswana safari, allows you to share accommodation. Also, having someone around will be helpful in explaining certain things. I usually travel alone, and I love the fact that G Adventures offer to pair you up with someone. Not only you save money, but more importantly, you meet great people and make new friends along the way! Great info. I love how you covered almost every aspect for your travel. You explained perfectly the do’s and dont’s, but what kind of food is in Africa? Locations of the nearest hospital just in case? I love the pictures that you showed and told what to expect on your safari. As far as the type of foods that you will find in Africa, it depends on the region visited. If you go to southern Africa like for instance Botswana or South Africa, the dishes include lots of meat (beef, lamb, mutton, goat, chicken and so on) whereas if you go to Tanzania, especially on Zanzibar island, spicy dishes are very popular. The closest hospital is in Maun. Moreover, G Adventures don’t employ any medical staffs, so if you have any serious health issues, you will be taken to a hospital in Maun. This review on a Botswana safari inspires me so much. I have always dreamed about visiting Victoria Falls. It looks absolutely beautiful and mesmerizing. I unfortunately have never been to Africa, but it is definitely on my bucket list. I truly hope to one day have my photo taken swimming at the edge of Victoria Falls! Thank you for the thorough review! No wonder that Vitoria Falls is one of the seven natural wonders of Africa! I think that a visit to Victoria Falls is on many people’s bucket list! 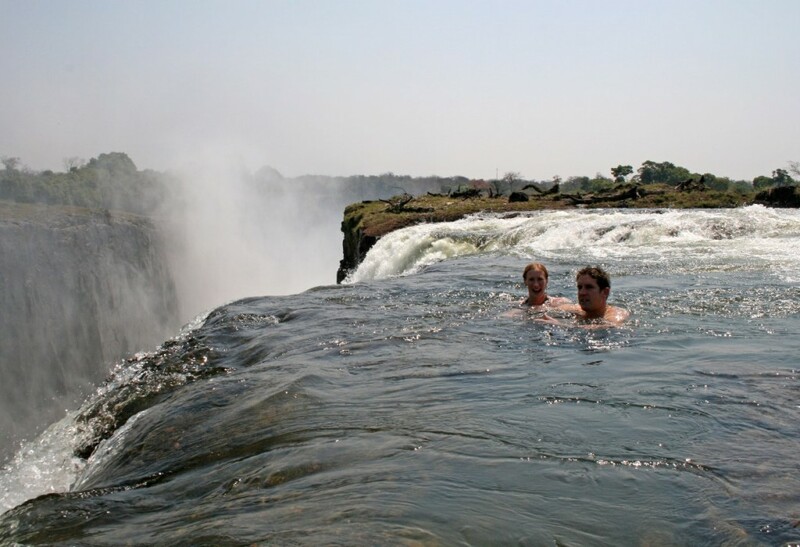 Although even if swimming at the edge of Victoria Falls sounds like a great idea, I don’t think that I would do it since I am a bit afraid of heights! Great article, thanks for taking the time to research all of it! I have travelled quite a bit, but I have never been to the game parks in Africa. Morocco is the only part of Africa that I have been lucky enough to see. I am planning on going to Africa in a few years. A good friend of mine is from Zimbabwe and we are planning on taking our families there in the future. I have always been fascinated by the Okavango Delta and also Ngorongoro Crater, so I will be adding those onto my trip too! A Botswana safari is a unique experience, where you can enjoy game drives throughout the National Parks and game reserves. The Okavango Delta a bird paradise with more than 500 species of birds, and the Chobe National Park is the destination of choice to the elephants for sure! You should definitely stop by Botswana if you get the chance.